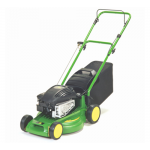 If you know what you’re looking for in a petrol mower, it would be well worth your while checking out some of our petrol mower reviews. 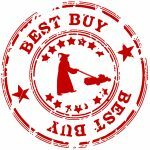 On this site we aim to review the best petrol lawn mowers available on the market today, giving you the key facts that ultimately help you make an educated decision about which mower to buy. 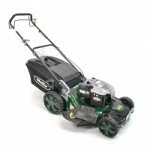 Petrol lawn mowers have become the go to choice for many novice gardeners over the course of the last century, they’re powerful, versatile, and known for their ability to get the job done effortlessly and quickly, which is great especially if you have a large garden of 400+ square metres. 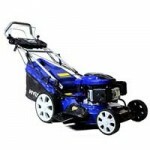 There are several things you should know before setting out to buy the best petrol lawn mower available to you, not least whether or not you even need one, so if you’re coming at this with little to no knowledge of lawn mowers at all then it would be worth reading our article ‘Electric or Petrol? making the right choice’ before going any further. 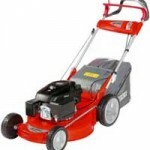 If you know that petrol is definitely for you then read on, as we’ll look in more detail at the various features and considerations involved when buying and owning a petrol mower. 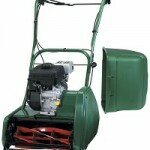 First things first you should understand that petrol mowers are more expensive than their electric or manually driven counterparts, so you should expect to pay an absolute minimum of £100 for a very basic model, and upwards of £1000+ for a top end example. Which you choose will depend largely on how many bells and whistles you like to have, but also the quality of key features such as the engine and grass collection mechanism, which if ineffective or unreliable will cause nothing but frustration and wasted time. Other features such as ergonomic controls and a wide range in cutting height adjustment are not necessarily ‘essential’ but certainly nice to have, and it’s features like these that will come down to personal preference. Reliable power plant – look for names like Briggs and Stratton, Honda, and Evopower and other trusted and proven brands when checking what engine a mower has. A reliable and sufficiently powerful engine is essential to ensuring that your mower runs properly every time, for a long time! The engine must be easy to start, run, and maintain. Decent cutting width – to justify using a petrol mower you should be dealing with a large area of 400+ square metres, therefore you’ll need a cutting width of at least 40cm in order to be able to cut the grass in a reasonable amount of time, and many petrol mowers have larger cutting widths of up to 50cm to make the job even quicker. 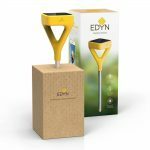 Around a 50l capacity grass collection box/bag – any less and you’ll find yourself having to empty the mower too often, making mowing the lawn a more time-consuming and arduous task. Some mowers work a lot better than others when it comes to collecting grass and not clogging, so it’s always worth checking reviews and customer testimonials. Easily maneuverable – Large wheels, and a relatively lightweight construction should enable you to direct the mower just about wherever you need to. A wide range of cutting heights (between 20cm and 70cm is typical) – If you need to take care of overgrown areas, or wish to achieve closely cropped cuts then you’ll need to be able to adjust the cutting height. 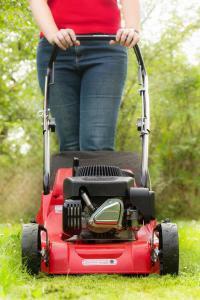 So whether you’re just getting rid of the excess in the Autumn and Winter, or crafting the lawn in the Summer, be sure that your mower can handle it. Well-designed user interface – comfortable, and easy to use controls make all the difference when using a mower for an extended period of time, and can prevent irritation due to vibration. It’s also worth choosing a model with a height adjustable handle if you fall outside of ‘average’ height ranges. 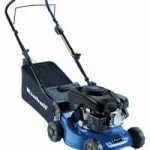 Self-propulsion – meaning the mower drives itself and you just do the steering, perfect if you lack strength or stamina. ‘Zero turn’ ability – More commonly found on some models of ride on mower, the ability to turn on the spot has also been integrated into a few pedestrian guided models, it’s useful if you lack the strength to pivot your mover onto it’s back wheels and turn it, but it’s by no means a must have feature. Electric Ignition – As long as the engine is manufactured to a high standard then there should be no need for this. 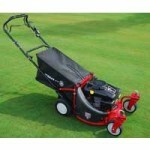 Roller – Unless you have a real burning desire for lawn stripes then this is not a necessary feature with standard rotary mowers. For true lawn enthusiasts, a cylinder mower with a roller is a much better option for creating stripes. Think of the words ‘Power’, ‘Precision’, and ‘Innovation’ and it’s likely that Honda will be one of the names that come to mind. 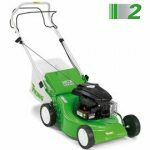 Known for their super reliable and efficient cars, as well as motorcycles, and boat outboard engines, you can be sure that if they’ve designed a petrol driven lawn mower it will be more than up to the job of cutting your lawn. The first thing to note is that this mower is self-propelled, meaning a much less strenuous job for you, and it has the essential safety feature of halting both the mower as it drives forward and the action of the cutting blade should you let go of the handlebar. One of the real stand out features of this mower has to be the ease with which it can be cleaned, thanks to the ‘Gardena’ water hose connector you can clean the underside of the cutting deck simply by attaching a hose to the specially designed inlet. 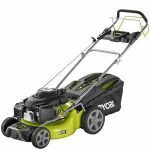 A powerful and robust petrol driven lawnmower, this is the ideal choice for large gardens and the most challenging of conditions. On a single tank of fuel this mower can cut an area of up to 14oo square metres, the first sign that this beast is cut out for some serious work. 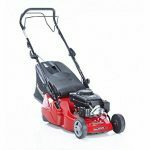 Delve a little bit deeper and you begin to see why, featuring a powerful 125cc, 4 stroke single cylinder Briggs and Stratton engine, this mower will just about tackle anything you care to throw at it. 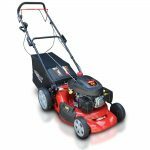 The engine also makes the task easier for you too with it’s disengaging rear wheel drive mechanism giving you the flexibility to let the mower propel itself across the lawn, and for you to take control in more intricate and harder to navigate areas. We just bought our first house and are on the hunt for a mower! we would like to be as eco friendly as possible but still have ease getting the job done. 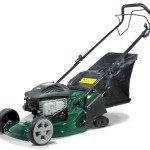 What are our best choices for mowers under $300 as you mentioned above? Thanks! Hi Anna! It’s difficult to be too eco friendly if you wish to go down the gas/petrol route. 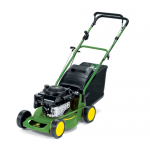 Most of the mowers shown above are within your price range, and in terms of environmental impact you’ll find that most of them use a Briggs and Stratton Engine so there’s not much between them in that respect. Having said that, Honda fit their own engines to their mowers, and they also claim to be very hot on reducing emissions, so the Honda Izy model would be a good choice, although it’s not the cheapest. By far the most popular model in our run down is the Einhell GC-PM. People really seem to like it, and it’s definitely a high performing machine for the money.